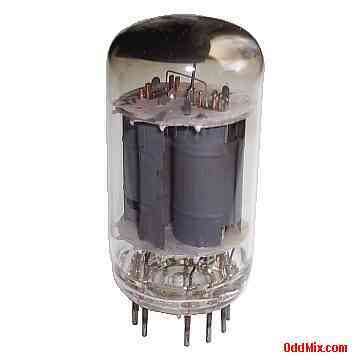 This is an original Motorola 17BF11 Beam-Power Tube Sharp-Cutoff Pentode electronic vacuum tube. This is a collectible rare item with an all glass 12 pin duodekar pinout. Useable in power RF circuits, oscillators, laboratory power supplies, SW circuits, QRP transmitters, AF power amplifiers and in VHF television (TV) and FM receivers.A Beam-Power Tube can be used for many other special purpose circuits like transmitters and power amplifiers. Useful for antique radio or television restoration projects or to set up a private vacuum tube museum. It is a rare, used, tested tube without it's box in good working condition. Only one available.